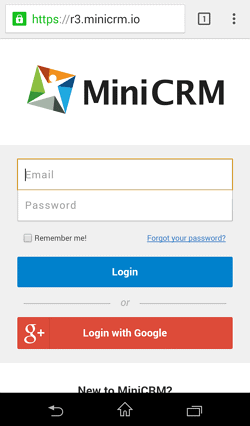 Go to the www.minicrm.io website on your smartphone or tablet, tap on [Login], and enter your email address and password that you use to log into your system. 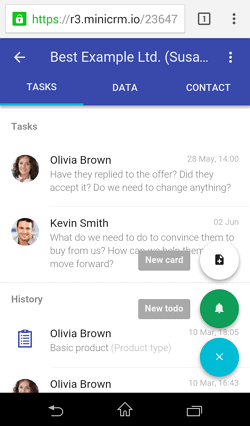 Search for customers, cards and tasks. Filter. To add a new card to the system, tap on the plus sign. To search something, use the Search field above the list of cards. If you tap on the horizontal lines before the module’s name, you can see the pipline, open filters, filter the cards by owners, and select a module. Cards are listed in the middle. You can choose another module by tapping on the horizontal lines. To log out, tap on Logout. 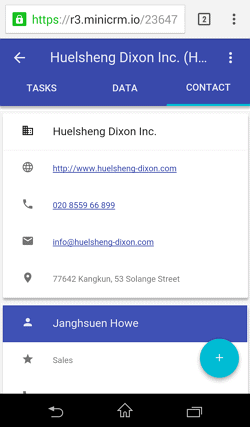 Cards are also divided into 3 parts (Tasks, Data, Contact). 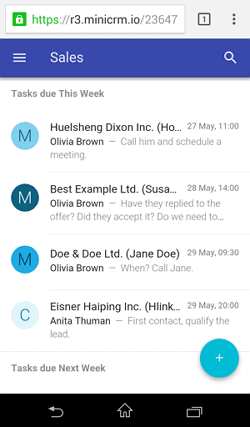 Below the Tasks tab, you can see the tasks, send a reply, and see the history. 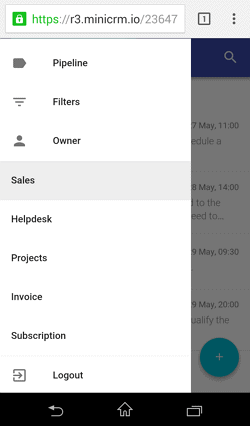 To add a new task, tap on the plus sign and select the New todo option. If you tap on the Data tab, all card fields appear. Here you can also change the status and the owner of the card. 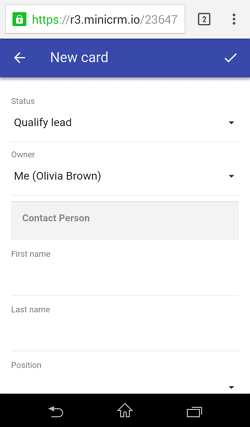 If you tap on the Contact tab, you can see the contact data of a customer (company or person), and by companies the data of contact persons as well. 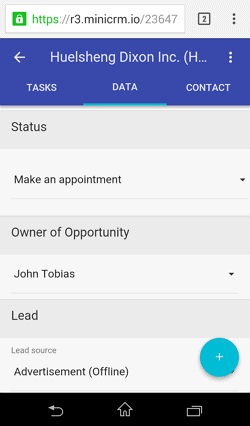 By tapping on a phone number, you can call the customer directly. 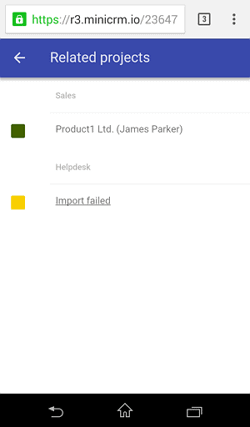 To see the customer’s other card(s), tap on the dots next to the card’s name and select the Related projects option. To load a card, tap on its name. Some functions, for example, customizing fields, statuses and modules, and user settings are only available on desktop.